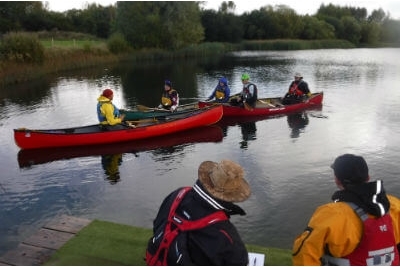 Inspire2Adventure offer professional development courses in kayak and open canoe. If you would like an introduction to these sports or are already experienced and would like to gain some professional qualifications, please call us 01600 891515 or email to find out more. Listed below are courses that we can provide. If you are interested in personal development coaching Inspire2Adventure coaches are all BC (British Canoeing) and Canoe Wales qualified to a high level and are very experienced outdoor professionals. We operate with a low coach to student ratio to ensure quality time on the water and appropriate coaching. With safety and adventure in mind we will take you to appropriate locations and coach relevant skills to ensure you achieve the most from your course. Alternatively, courses can be run from your venue using the lakes and rivers local to you. 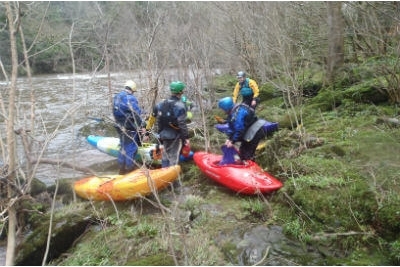 With a range of qualified and experience instructors, most of which are national governing body trainers, we are able to offer 1 to 1 or 1 to 2 pre assessment days in canoeing, kayaking, rock climbing, mountain biking and navigation skills. So if have an assessment and you’re looking to fine tune your skills then give us a call.